The deposed lord finds himself in Exile – all alone, and with the terrible deeds of his past seeking acknowledgment. Shadows and torment plague him, threatening to consume all that he is. If the dark power roaming the Lands of Exile is not curtailed, it will spread across the dimensions, transforming everything in its path … until the light is no more. Keira, Jason, and Shannon are integrating the insights they gained in the Crystal City. Life is good – but they miss the magic and mystery of being in parallel worlds. The exile’s blade brings the two dimensions together in an inexorable collision – but will the blade align with the dark or the light? 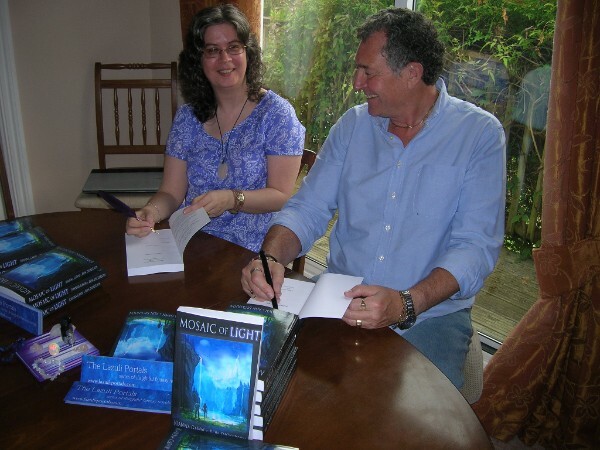 With stone circles, crystalline and life-force energies, Ascended Reikans, and a vital dual quest, the inspirational Lazuli Portals trilogy reaches its conclusion.